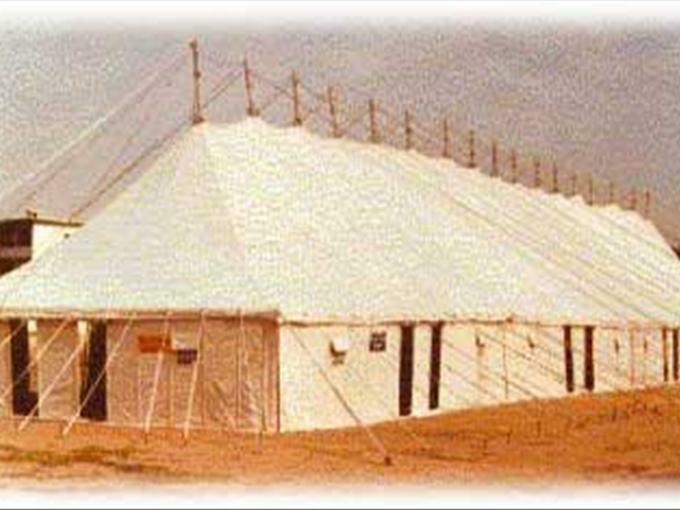 We have the capability to manufacture a variety of tents depending on your occassion and requirements. Made from Cotton Canvas Waterproof 500 - 600 gms per square meter natural white or in a color of your choice. Ground sheet in Canvas, PE fabric or PVC -optional. The tent comes packed in a cotton carrying bag. Complete with metal poles, iron pegs, pins hammer and a carrying bag.